This concept is based on the traditional Italian 5M, and we have already examined the first main element, which was the proper coffee blend (Miscelanza). 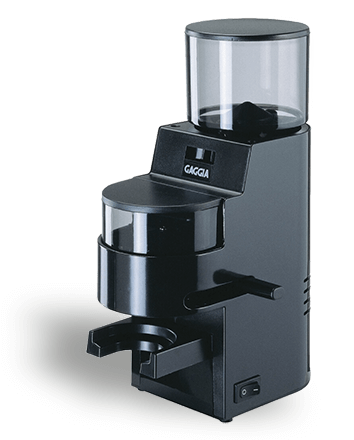 In this article we will look at the coffee grinder (machinadosatore). The right grinder also contributes to the perfect homemade espresso coffee. 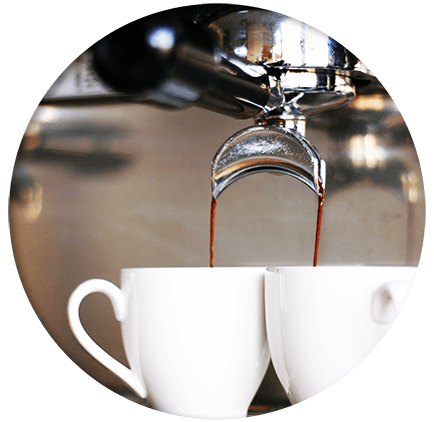 To produce a decent espresso, water needs to be pressed through the coffee at a high pressure, so you need a thick puck of fine ground coffee, so that the water won’t just run through the puck. According to the Italian traditional rule, the coffee brewing time should be between 20 - 30 seconds to achieve the right result. That is why the right fineness and density are essential. Buying preground coffee is not the best solution. First of all it is quite difficult to find a proper fine ground coffee in a shop, secondly the harmful chemical effects start to appear immediately after grinding which quickly starts to diminish the aroma and flavour. The coffee manufacturers keep these effects in mind, and for this reason they immediately hermetically seale the ground coffee after grinding. If you open a bag of whole coffee beans, you should not keep it longer than 1 month, and pre-ground coffee is good for only 1 week. So the best method is when you buy whole espresso beans and you grind it with an appropriate macinadosatore (grinder). You should only grind a small amount of fine coffee, that you use immediately. At this point we should mention that the spice and nut grinders are inadequate to grinding coffee beans, because these machines don’t grind, but crush the beans unevenly. We are not able to prepare a good coffee from these crushed beans. A good coffee grinder works like a mill, and it has fineness adjustability. The stepless adjustability is useful for the perfect settings. Tamping is an essential step in the perparation of espresso, because it distributes the coffee in the filter basket and compresses the ground coffee. We have to push the tamper with 15-20 kilograms of force. Tampers are available in different sizes and shapes, depending on the handle and the filter basket. You should pay great attention to use the proper size and shape, which fits your filter basket perfectly. New machines mostly come with cheap plastic tampers often not even in the right size, but proper metal ones are widely available. An elegant tamper can also be an eye-catching part of your kitchen, beside your coffee machine and your coffee grinder. The coffee must be ground to the appropriate grain size, and tamped in order to achieve the perfect density. If the water is running through the coffee, then the end product will be week. It means your ground coffee is too coarse and you have to readjust your grinder to grind it finer. If the ground coffee you use is too fine, your coffee machine will not be able to press water through the puck. In this case you have to readjust your grinder to grind coarser. The aim is the mouse tail thin coffee flow into the cup. That way the time of coffee brewing will take long enought, so that a type of gas production (mainly carbon dioxide) can start. Crema is a product of this process. 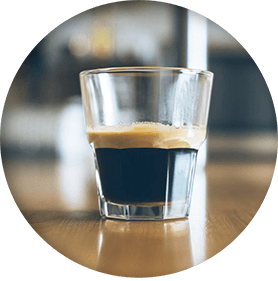 The crema is the most basic recognizance of the perfect espresso. The crema can be characterised by a reddish-brown foam, which does not contain bubbles and it adheres to the wall of the cup. We need to have a well set grinder, a suitable tamper and a lot of practice to create the perfect espresso with rich crema. Experimentation can help to achieve the good results. The setting of the grinder is not a one-time process. A new coffee brand, a longer keept coffee and the humidity can make infuence on the quality of the ground coffee. Once you experience that the coffee flow is not optimal, you have to change the settings of the grinder. The hardest part of brewing great espresso is to learn about the grinding procedure. It takes a lot of experimentation to gain the necessary experience. You can not expect to become an excellent home barista overnight, but practice will make you better day-by-day!